The Kindergarten of Dreams is the world’s first sterile educational and recovery center. 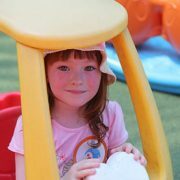 We provide 25 Israeli children with cancer the opportunity every child deserves: to play with other preschoolers while building their educational development in a safe and supportive environment. The Kindergarten of Dreams is purpose-built for children who are fighting for their lives. To reduce the social isolation often associated with long-term hospital stays and home-based recovery, children need to play with other children and grow their intellectual and emotional intelligence in a controlled school setting. Giving children with cancer the crucial experience of kindergarten breaks the painful routine of treatment, helps them create valuable friendships, and allows them the opportunity to feel like a normal kid. The Kindergarten of Dreams was designed to provide children with a supported learning environment while still catering to their special needs. Based in Kfar Azar, adjacent to the Sheba Medical Center in Tel Aviv, the Kindergarten of Dreams suits the needs of children with a low functioning immune system, intensive medication regime, and frequent hospital visits. The flexible curriculum program offers support for families who are often managing the needs of their sick child while also tending to their siblings, work, and other commitments. The cost of one child’s tuition at the kindergarten. As the cost of treatment is an enormous financial burden, this program is entirely free for the children to participate, and is funded by the generosity of people like you. With your help, we can continue to support the heroic parents as they navigate the challenges of having a child with cancer. During a child’s extended stay at the hospital for treatments and procedures, Larger Than Life hospital coordinators visit the family on a daily basis and tend to any needs that will make their stay easier and improve their well-being. Over 700 children with cancer go through active chemotherapy treatment annually. Their treatments and procedures often require that the child and parents stay in the hospital for weeks or months on end. Being in the hospital, away from your family, and undergoing treatment is an incredibly stressful and uncomfortable experience, though a positive and spirited attitude is essential to the child’s healing process. We aim to make families more comfortable during long stays at the hospital. Our team members hope to make the stay as pleasant as possible for the family through entertainment programs, assistance in navigating health care bureaucracy, and logistical and financial aid. Larger Than Life hospital coordinators are in close contact with the social workers in the children’s oncology wards of hospitals throughout Israel. They form personal connections with families staying in the hospital for cancer treatments, assess what assistance the families need, then take action to help them. The coordinators address a wide range of needs, such as organizing fun activities at the hospitals for the children receiving treatment, providing financial support to help the families purchase medication and necessary equipment, providing laptops or electronic tablets to keep children entertained while they’re in isolation after a bone-marrow transplant, arranging for volunteers to hold engaging storytelling or arts and crafts events, and more. In addition to the effects of the treatment, the amount of time children with cancer and their parents spend in the hospital is incredibly draining on their energy levels and spirit. Our trained coordinators do all they can to make their stay a little more comfortable. The aid we provide our families in times of need is made possible through the generosity of people like you. With your help, we can continue to support our brave children and heroic parents as they navigate the challenges of childhood cancer. Every summer, 50 toddlers and pre-kindergarten children with cancer and their families gather at a resort hotel on the beach of Nachsholim, near Haifa, for a fun and relaxing four days of activities. Medical care for cancer patients is both emotionally taxing and financially draining, and can turn a family’s world upside-down. Joyful experiences are essential to keeping up the children’s spirits as they fight this disease, though finding the time and money to have these adventures while still tending to their kids’ conditions is a great challenge to parents. Both the parents and the children need a safe space to release their emotions and react to the trauma they’ve experienced. Most feel that they’re living a nightmare, and need support from professionals and peers facing similar situations, along with fun activities that allow them to mentally escape their troubles back home. For many, attending this program is the first time a family can reunite — and simply enjoy time together — after spending long bouts in the hospital for treatments and procedures. Over the course of four days at a beachside resort near Haifa, children with cancer, their siblings, and their parents, can mentally escape the stress of daily hospital visits and treatments, and enjoy time with people facing challenges similar to their own. The children have a thrilling experience, complete with trips to the zoo, magic shows, picnics, arts and crafts activities, and a fun day at the water park. The parents, most of whom arrive to the camp visibly exhausted, also receive special attention during the four day retreat. Meeting other parents who are in the same distressing situation is itself a freeing experience, as it may be the first time they’re able to speak freely about their challenges. The parents are invited to participate in constructive discussions that help them confront their hopes and grievances; each evening, they attend lectures, support meetings, and performance and leisure activities as their children are tended to by the camp’s medical staff and counselors. At the end of these four days, the families are able to depart with renewed energies, along with valuable connections to people who understand the pains and trauma of their situation. The cost of sending one child to camp. Every summer, 200 children with cancer and their siblings ages 8-18 gather at a resort hotel on the beach of Nachsholim, near Haifa, for a fun-filled week of sports, water activities, and adventure. Fighting cancer is an emotionally taxing experience for the entire family. When a child spends long periods in a hospital for treatment, loses their hair, and their appearance changes drastically, their energy levels and desire to leave the house sinks even lower. Furthermore, the siblings of children with cancer often feel that they must take a back seat and not require as much attention from their parents. The challenges of cancer in the family can cause a great strain on the relationships between the siblings and parents as well. Every summer, Larger Than Life holds a five day, fun-filled camp for 200 children with cancer and their siblings. Over the course of the retreat, they’re able to participate in exciting sporting events and activities alongside peers who are facing situations similar to their own; this feeling of belonging allows them to forget their illness, and simply enjoy the fun of being a kid at camp. While spending the week at a resort hotel near Haifa, the children have the opportunity to escape the white walls of the hospital, and meet and bond with new friends. In addition to lifting their spirits and providing them with hope, this camp aims to restore the self-assurance and self-confidence of all the participants. 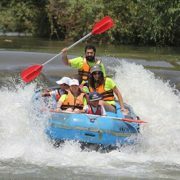 Their days are filled with a variety of summer attractions, including extreme sports, trips to the north of Israel, exciting jeep tours, an adventurous water park day, a kayak course, arts and crafts activities, support group sessions, and more. The evenings are just as fun, with barbeque dinners on the beach, karaoke parties, dances with a DJ, a foam party — and on the final evening, a camp-wide talent show! The camp is staffed with 24-hour medical supervision by doctors and nurses, and our dedicated counselors are cancer survivors and alumni of Larger Than Life programs. As our medical staff is on standby to tend to their medical needs, and our counselors mentor the children and instill them with a great sense of hope, the kids are able to relax and enjoy time with friends facing similar situations. For this joyous week, siblings are able to strengthen their relationships with one another and bond with each other as children, not as siblings of a child with cancer. Five times a year, we invite different families to enjoy four full days of vacation to recover, regroup, and reconnect with each other in beautiful Eilat, Israel. After weeks or even months of treatment and stress, Eilat allows for family unity and healing. After experiencing the shock of diagnosis, the pain of treatment, and all other effects of childhood cancer, families need the opportunity to relax and bond as a normal family. Many families have been separated by long periods of hospitalization, endured heavy stress, financial challenges, and have had to travel long distances to receive the necessary treatment. The family vacation in Eilat is a program meant to heal the pains a family affected by childhood cancer has endured. It is one of our most popular programs, as the main focus is to “pamper and heal” the family unit after such a harrowing journey of hospitalizations and treatments. This Project offers four full days of fun and relaxation to disadvantaged families of sick children in Israel; each family is referred by a oncology social worker based on the financial, social and health condition of the child. The children and their families are treated to an all-inclusive vacation at a beach-side resort in Eilat. Each family’s room and programs are designed to fit the special needs of their unit, whether they need wheelchair access or some other unique accommodation. We aim to make this vacation as productive and as relaxing as possible, and as such, Larger Than Life organizes many events for the families to grow from and enjoy. 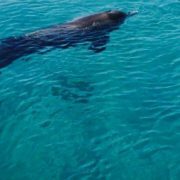 These include jeep tours, a yacht cruise, visits to water attractions, and more. We also hold support groups and lectures for the parents of the children, as they are often in desperate need of a safe outlet to share their hopes, fears, and worries. On this trip to Eilat, our families have the opportunity to create valuable memories, to bond, and to reconnect. Such an experience is especially valuable when their future carries much uncertainty. We are able to send families on this much needed vacation thanks to the generosity of people like you. With your help, we can continue to support these families as they navigate the challenges of childhood cancer. Every spring, our families are invited to a joyous Purim celebration held in collaboration with Israel Railways. 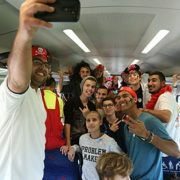 The passengers enjoy Purim festivities as they are surrounded by positive energy, smiles, and love. While the days leading up to Purim are typically filled with excitement for the upcoming holiday, many Israeli families don’t have the opportunity to feel that sort of enthusiasm. Rather, they are in and out of the hospital for chemotherapy, procedures, and various other treatments. At a time when most of the community is filled with joy and is preparing for fun holiday events with their friends and family, the families of children with cancer are in a low emotional state, and don’t have much energy or holiday spirit. These families are in desperate need of a break from the trauma of extended hospital stays and treatments. As they don’t have the time or ability to plan exciting events and activities for their children, it’s important that their community support them with an opportunity to mentally escape the cancer they’re facing. Purim is a day of celebration, when children are able to spend the day outside in creative costumes, enjoying music and parades, and devouring delicious hamantaschen. We at Larger Than Life do all we can to provide these families with moments to relax and bond as a family unit, and bring them into welcoming environments filled with joy, enthusiasm, and love. 800 children are invited to enjoy a fun-filled day with their family and friends as they celebrate Purim on a special train (in collaboration with Israel railways) with performers, artists, singers, clowns, and a delicious lunch. The activities last all day long and are for all ages. During this day of celebration, we do our best to create a welcoming environment filled with positive energy, smiles, love, and most importantly, hope. We are able to provide families with this incredible program thanks to the generosity of people like you. We hope you’ll join our community, and play a role in uplifting Israeli families who are fighting for their child’s life. In 2004, Larger than Life — L.A. Family organized its first annual ‘West Coast Dream Trip’. Each year, Larger than Life — L.A. Family brings a group of 20 – 30 children to Los Angeles for two magical weeks on the West Coast. Attending children are accompanied by a medical team, but otherwise enjoy this vacation like any other healthy child. The West Coast Dream Trip involves many once-in-a-lifetime experiences among the finest attractions that the West Coast has to offer: Universal Studios, Hollywood and the Chinese Theater, Disneyland, Sea World, Magic Mountain, Venice Beach and Lake Pyramid. The trip also includes other special treats, such as helicopter rides, community events, celebrity meetings and attending the Larger than Life — L.A. Family’s annual Gala. Every effort is made to accommodate particular needs and requests of attending children. The West Coast Dream Trip unites a diversity of children with cancer – Jews, Muslim and Christian Arabs, Druze, Bedouins – all have the opportunity to attend this trip and enjoy a dramatic departure from the routine of their cancer treatment. The West Coast Dream Trip includes activities in and between Los Angeles and San Diego, and sometimes ventures to other cities. 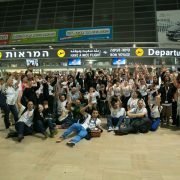 Expenses for the trip are approximately $4,000 for each child and require an annual project budget of nearly $120,000. This project is exclusively funded by Larger than Life — L.A. Family. The West Coast Dream Trip is an excellent tool for strengthening children’s spirit and giving them renewed energy and motivation to cope with their disease. See below for quote excerpts of letters from children who have attended the West Coast Dream Trip in the past, and their families.